For under thirty dollars, you can purchase wines from Greece to Portugal, Chile to South Africa, Argentina to the Okanagan. Wine, even on a student budget, can be delicious. One of my favorite sites is www.grapestories.com. With grapestories, you can accurately and easily upload your wines and read opinions from fellow wine geeks. And cellartracker is free to use. Another tip for purchasing wine is purchase by the case. Most wine shops offer a discount of five to fifteen percent when you buy by the case. It usually works out to getting a bottle of wine for free. Colli di Luni Vermentino, Liguria, Italy $25. Available at BC Liquor Stores. From vineyards planted on ancient Roman farms and medieval soils comes this floral and honeyed Vermentino featuring a fresh and clean yet somewhat creamy mouth feel which makes it easy to enjoy outside in warm weather with any of your favorite snacks. La Vieille Ferme Syrah Rose, Rhone, France $14. Available at BC Liquor Stores. This wine is certainly not a 'blush', no, it packs more than that! This friendly and lively blend of traditional Rhone grapes Cinsault, Grenache and Syrah shows a beautiful color and is incredibly aromatic and inviting with caramelized red fruit and toffee notes that translate from the nose all the way to the bright and clean finish that leaves you wanting more. Bridlewood Syrah, California, USA. $17. Available at BC Liquor Stores. This wine shows all of the ripe fruit, spice and cigar tobacco of a delicious, modern Syrah. The finish is vanillan and lengthy with tannin that matches well with stews and roasts. Michel Torino 'Cuma' Organic Malbec, Cafayate, Argentina Approx $14. Available at BC Liquor Stores. From a northerly quality wine region in Argentina comes the Cuma Malbec. This particular wine is softer and and lighter, showing the fruit-forward side of Malbec with all of the right hints of spice. The nose shows complexity with a little bit of earthy character to it. This is great BBQ wine for the summer. This wine is made from the traditional 3-grape blend of the Valpolicella region in the Veneto, the same region of Verona and Venice! This wine is light with plenty of fresh cherry notes to go around. I always notice white pepper on the nose of Valpolicella and this wine displays it in spades. I would enjoy this wine before dinner or even with my favorite light student-style pasta. 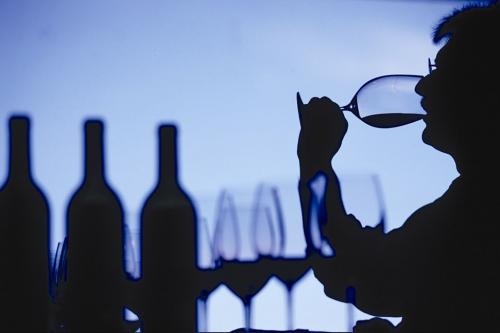 To learn more about wine, check out the McWilliam's Winemaker Blind Tasting Challenge coming up on May 13th at the BC Liquor Store on 39th and Cambie.